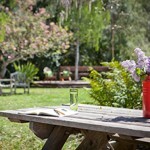 Bell Valley Retreat at the Toll House offers a unique center for transformation and restoration. 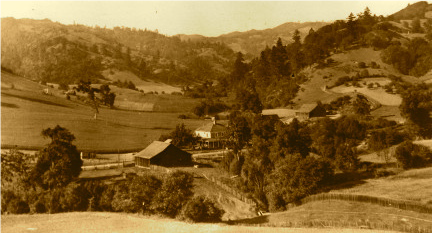 Originally land settled by Native Pomo tribes, in the late 1800s it became a stop-over for stage-coach travelers riding from Ukiah to Boonville. It also operated as a well-known hops farm in the Valley where the unusual dialect called Boontling was “born”. Today, in keeping with this history of the land and its inhabitants, Bell Valley offers a space to gather, connect and revitalize. What truly sets Bell Valley Retreat apart is the land. The retreat lies within a watershed that spans more than 600 acres, with extensive trails winding through its diverse ecosystem. Expansive views abound, with very few buildings in sight. Each element of Bell Valley Retreat reinforces harmony and integration with the land, designed to fit within the natural landscape, rather than apart from it.